Below is some information on the programs RCCA runs. There is a link to each website for more information. Rabbit Creek Preschool has been operating as a parent cooperative preschool since 1976. Our goal is to create an environment where children can explore, discover, learn, try new things, and gain social skills while becoming familiar with the school structure and group dynamics in preparation for kindergarten. The SACC program provides elementary school age children with the opportunity for fun, friends and a chance to grow physically, mentally and emotionally. The SACC program is designed for children whose parents are working outside the home and is open to children, ages 5 to 12. Throughout the school year, children have the opportunity to play outside, play in the gym, and participate in arts & crafts, cooking, science and other activities. Homework assistance is also available. We maintain a 1:10 ratio and provide both morning and afternoon snacks. Licensed by the Municipality of Anchorage. 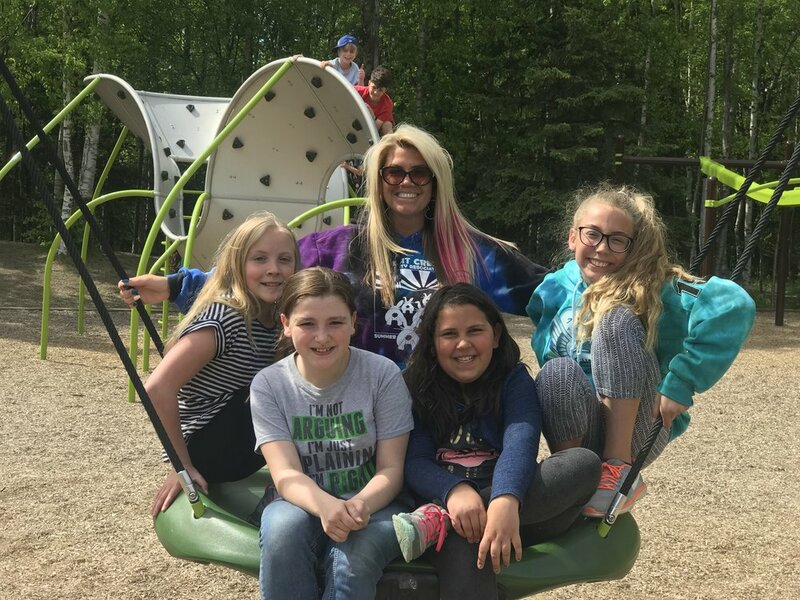 The Summer Fun Club program provides elementary school age children with a fun; exciting and safe environment while school is out for the summer. Children go on a minimum of two field trips per week and are offered science, cooking, craft, team building activities, lots of outdoor play and much more. Throughout the summer we have speakers and performers such as a balloon artists, gymnastics, comedian-magicians, Zoo Ambassadors and many more, these professionals are invited to SFC to teach the children new skills or introduce them to something new. The SFC program is open to children, ages 5 to 12. We maintain a 1:10 adult to child ratio and provide both morning and afternoon snacks.